Japan has plenty of things to do and see, with a major part of the country’s beautiful attractions located in the great outdoors, making the nation a hub of picturesque sights and views. The fabled Land of the Rising Sun is home to 17 UNESCO World Heritage Sites alone, attracting thousands of foreign tourists each year to explore some of the most serene sights to see in South East Asia. Whether one seeks sights of historical value or mere natural beauty, Japan is capable of accommodating all such needs. There are many wonders to see in Japan, especially natural ones. The first stop one anyone’s roadmap to visiting Japan’s luscious outdoors should be Mount Fuji. The mountain is Japan’s largest in height, reaching an impressive 3,777 meters above sea level, and is located about 1-2 hours away from Tokyo and can even be seen on the horizon from the nation’s capital on a clear and sunny day. The mountain is a beautiful sight regardless of the season and is one of Japan’s most iconic sights and is definitely ranked amongst the most important places to visit. Similar to Mount Fuji is Mount Aso. Except that Mount Aso, or Aso-san as often referred to by locals, is an active volcano. It’s not only the largest volcano in Japan, but one of the largest active ones in the world and is in fact emitting fumes from its depths that make it dangerous to visit the volcano every now and then, and is definitely not a wonder one should get too close to if one suffers from breathing or lung problems. Regardless, it is one of the most spectacular sights to see in Japan. Fumes emitted from the active volcano. The next sight to see is Matsushima, which unlike Mounts Fuji and Aso is much closer to sea level due to it being a group of 260 small islands covered in pine trees. The view is wonderful at night with the night sky reflected off the water on a clear night. 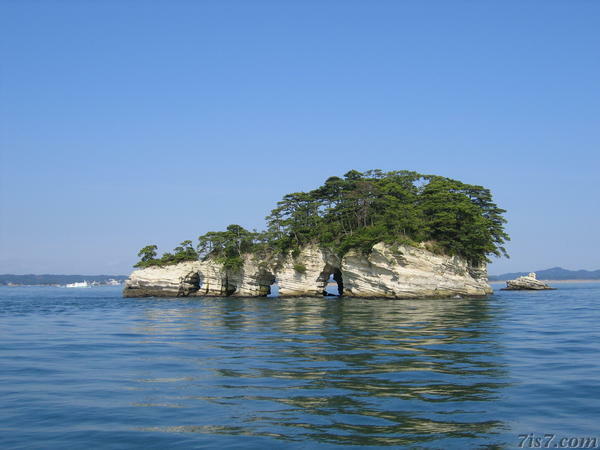 In fact, the view is so scenic that the Matsushima islands are in the “Three Scenic Points,” a collection of the three most beautiful sights to see in Japan as defined by the Japanese scholar Hayashi Gaho. The other sights he named were the sandbar of Amanohashidate in Kyoto and the Itsukushima Shrine in Hiroshima. One of the 260 islands. Those are just some of the top natural wonders to visit in Japan and anyone paying a visit to the nation should explore some others – whether water or land based, Japan has some of the most wondrous sights to see. There are literally hundreds of things to do in the Japanese outdoors. Riddled with beautiful landscapes, the Land of the Rising Sun has some of nature’s finest to present to its visitors. With its natural wonders and all different kinds of environments, Japan also offers plenty to those seeking adventure and adrenaline rushes. Whether one seeks extreme heights or supreme speeds, they’ll be able to find it in a multitude of forms across the Land of the Rising Sun. Bungy Jumping is all about adrenaline. For those unaware, bungy jumping consists of tying a very elastic rope around one’s ankles, which is then secured at the top of a elevated platform, from which one then proceeds to leap off of. This is naturally not an activity for the faint-hearted as most jumps exceed several dozen meters in length and induce a high level of adrenaline to the system. Nowadays, Bungy Jumping is a fairly standard mark amongst the extreme sports, with venues hosting such jumps in many countries. Japan too has become a nation with a scene for the extreme sports, including the bungy kind. There are many places in Japan wherein one can partake in the sport. One company that is responsible for some of the jumps is “Bungy Japan.” They are the self-proclaimed “purveyors of the finest adrenalin” since 2004. They have four sites where one can jump from: Minakami, Sarugakyo, Ryujin and Itski Mura. The Minakami and Sarugakyo venues are dedicated bridges with the sole purpose of being used for jumps. The Minakami Bridge is 42 meters high above a river and the Sarugakyo measures at an impressive 62 meters above ground level. Prices change depending on the venue. For instance, the Minakami jump costs 7,500 yen for the first jump, with each consecutive jump being cheaper. The Sarugakyo one costs 10,000 yen for the first jump and a combo for both bridges is available for 14,000 yen. However for those not satisfied with those heights and the thrill they offer, there’s the so called “Sky Tree.” Located in Tokyo, those seeking the ultimate thrill can jump off the Tokyo Sky Tree, measured at a whooping 634 meters high. It’s set to open on May 22 of 2014 and is hailed as the highest bungee jump in the world, where thrill-seekers can leap off a 430 meter platform located at the side of the tower. Japan is also blessed with some of the most extraordinary natural landscapes in the world, which are a common point of national pride for the island nation’s inhabitants. Not many other countries can boast a variety of environments as diverse and often picturesque as Japan possess. With an abundance of access to nature’s finest, it comes as little surprise that many of the best things to do in Japan are in the outdoors. An outdoor activity that isn’t on the radar of many when they put Japan and “outdoors” in the same context is Kite Flying. A reason for this is that while many in the western world do so as children, they never get the opportunity to go outside and fly a kite as an adult – until they have their own children and do it with them, that is. Add to that the era of the internet and technology and we’re presented with a dying form of enjoyment. Flying kites is one of the simplest outdoor activities and is a wonderful opportunity for families and friends to bond and strengthen relationships. Unlike much of the western world, the Japanese have not forgotten about the simple joys of watching a kite soar through the air in the slightest. Flying kites have been in Japan since sometime around 700 AD, brought to the country from China by the way of Buddhist missionaries. That’s a long time ago – so long in fact that there’s an entire museum dedicated to the art located in Tokyo, called the Teimeiken Kite Museum. Japan is also well known for its traditional festivals held for numerous occasions throughout the year. There are also a number of festivals involved kites, with some even centered on the act of letting kites soar through the air. One of them is the Sagami Giant Kite Festival, held on May 4 and 5 each year in the Kanagawa Prefecture. The festival has been around since the 1830s and was initially held to celebrate the birth of a child. Over time the festival grew in uniformity – and the kites grew in size, to the point where the kites are now close to 15 meters in height and close to 1 tonne in weight, making the entire festival a spectacle to see. One of the giant kites. Japan has some of the most interestingly diverse selection of nature’s best venues for all sorts of outdoor activities. Whether it’s water, land or air based, Japan is well known for being an aesthetically pleasing country with much to offer in the outdoor department. Mountains for hiking, the ocean for sailing, fields for camping and so on. Regardless, if there is one thing the Japanese have an abundance of, it’d be water. This, of course, is not surprising given the country’s status as an island nation, but also gives way for many different kinds of activities for locals and foreigners alike to participate in. 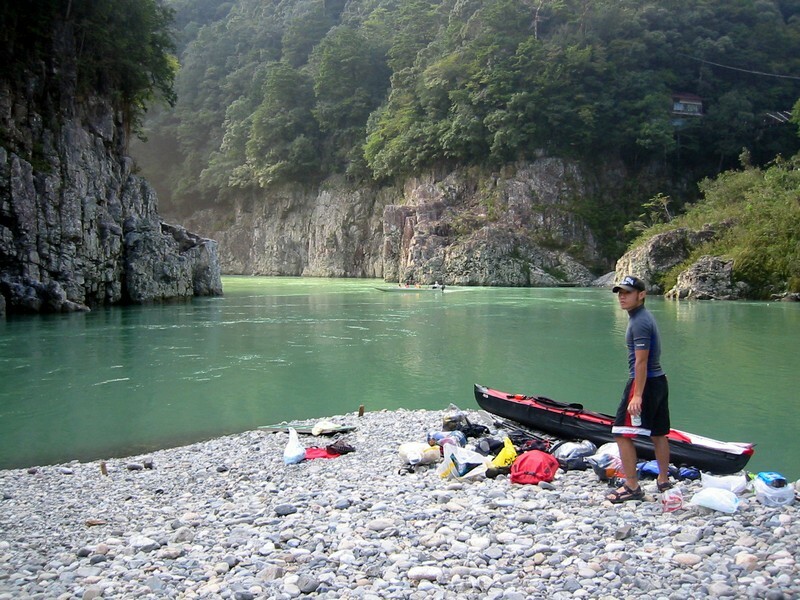 One such activity is rafting and kayaking, which takes full advantage of the numerous rivers and streams running through Japan’s numerous prefectures. The beauty of the activity is that it’s very entertaining to do in groups and can cater to all levels of comfort. Whether one seeks thrill and adrenaline or relaxation and picturesque views, kayaking and rafting can provide it all. A great place to start in, especially for those hesitant around deeper waters or for those with no experience in a boat, are the kayaking tours on the Aokiko Lake. Aokiko Lake is located in Nagano and is one of the purest lakes in Japan. The lake is a fusion of pure spring water emerging from beneath the earth and melted mountain snow produced at the end of the Japanese winter. With the clarity of the water, the mountains in the background and the forest foliage surrounding the lake, one can experience a truly beautiful time in a kayak on the lake. Ideal for those willing to take it a little slower or those wanting to practice some kayaking and rafting techniques before tackling some more challenging rivers. Some locals enjoying the lake. 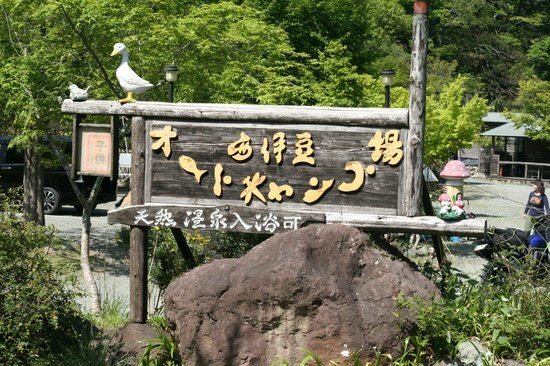 Another place of note is the Tone River, located in the Gunma Prefecture. The river is the largest one running through Japan. It also has a 12 kilometer long stretch used for kayaking and rafting. During summer, the part is rated a 2 on the International Scale of River Difficulty during the summer months, making it a nice and easy rise for beginner and intermediate riders. In the spring months, following the melting of ice and snow, the river is flooded to a 4 on the scale, providing a worthy challenge for intermediate and expert rafters and kayakers, making it ideal for testing one’s progress over time on the water. Japan is one of the largest island nations in the world, ranked in top 10 globally according to size. Therefore, if there is one thing the Japanese have an abundance of, it’d be water. This, of course, is not surprising given the country’s status as an island nation, but also gives way for many different kinds of activities for locals and foreigners alike to participate in. Many things to do in Japan are outdoors and one such activity is Snorkelling – the perfect mix of swimming and diving. SCUBA diving is often hailed as the most popular form of diving. However SCUBA diving is not quite simple – in fact it comes with dangers that many are unaware of and therefore requires a license to participate in, which in turns costs money and time to acquire, making SCUBA a serious time investment. Snorkelling, on the other hand, is the far more casual, relaxed alternative. The equipment needed is easily available and can turn a visit to the beach into a fun and safe activity for all ages. Thumbs up after a successful dive. There are many places to go snorkelling in Japan. One such place is Ishigaki Island, located in the Okinawa Prefecture. Ishigaki Island is the second largest island in the Yaeyama Island group and a perfect snorkelling venue. The waters in this part of the nation are renowned for their crystal-like clarity, comfortably warm temperatures and wonderful views. Its reefs are filled with colorful corals, fish and all sorts of aquamarine life. The clownfish is a frequent sight in the Ishigaki reefs, a favorite among children who have seen the popular film Finding Nemo. Even the fabled blow fish, called Fugu, is commonly found here and will definitely blow up to its maximum size if disturbed. Eels and other sea life are also common and sometimes even large sea-turtles can be seen speeding across the ocean floor. The territorial clownfish, a common sight in Ishigaki. Ishigaki Island is also host to the so-called “Manta Point,” where manta rays tend to congregate. They can be observed by the use of guided snorkelling tours as it is very much frowned upon to swim out there unsupervised due to the high amount of ships passing the area. Sharks are very uncommon in those waters. Some tiger sharks are sighted in areas from time to time, but they stay in the deeper waters. In order to maintain safety, snorkelers should stay within the reef. For those interested in the sea predators, there are plenty of tours to view them from boats. Japan is a country that offers all kinds of activities to its residents and visitors. One can choose to spend one’s time indoor or outdoors and for those willing to explore the beauty of the Japanese outdoors, there are many different activities to explore. The nation is riddled with beautiful countrysides and varying types of environments for outdoor enthusiasts of all levels to enjoy. For those who aren’t quite content with merely experiencing such views from the normalcy of land travel, skydiving (also called parachuting) might be worth taking a look at. Skydiving is an extreme action sport and definitely not something for those faint of heart. The activity involves jumping out of an airplane at high altitudes and sailing to the ground by the way of a parachute. This action sport is something for those seeking thrills and adrenaline rushes – but also allows an unparalleled experience, and view, of the beautiful sights Japan has to offer. A rather nontraditional approach to experiencing the country as opposed to taking a tour bus to see some sights, but definitely worth it for those with a stomach to handle the several thousand feet high drop. There aren’t that many places to go Skydiving in Japan, but some do exist. One such place is organized by the Tokyo Skydiving Club, which also serves as the home of the Japanese National 4-way and 8-way team which is a type of formation skydiving wherein the members of the team create different formations in the air prior to using the parachute in order to land. The Tokyo Skydiving Club operates on the Honda Airport, located rather close to Tokyo in the Saitama Prefecture. The club is open on weekends mainly and is a “full service dropzone,” meaning that different kinds of parachuting can be done from there. 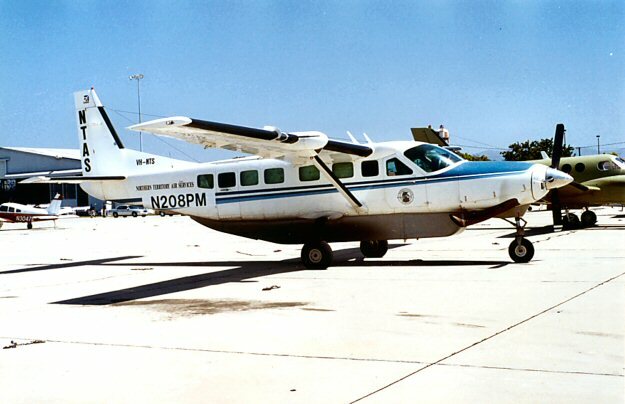 The airplane they use is a Cessna Caravan C-208, which is a lightweight, single-propeller aircraft with space for 9 to 14 passengers, depending on its interior configuration. For those who have never done skydiving before or wish to do it once in a while, the Tokyo Skydiving Club also offers complete sets of rental gear as well as individual and group coaching. It should be noted that foreigners willing to parachute in Japan must register with the appropriate government offices prior to landing in the country due to safety and legal reasons. A few other drop zones exist throughout Japan, however the Toyko Skydiving Club is regarded as the best and is frequently visited by the most well-known names in the field. Japan is often discussed for their high real estate cost and lack of space for real estate. What comes a surprise is the extensive camping opportunities throughout the country. Along side that, the nation is a hub of outdoor activity, able to cater to all tastes – whether traditional like sport, extreme like skydiving or mellow like hiking – everything is possible in Japan when it comes to the great outdoors.The Land of the Rising Sun is home to a large variety of scenic nature strips. Thus, should visitors prefer to experience the beauty of Japan without the high price tag of hotels and other forms of accommodation, they can take a more adventurous turn and try camping instead, which also has a plethora of added health benefits. There are well over 2000 campsites to be found across Japan – statistically speaking that means there’s an average of more than 40 campsites per prefecture, which will of course vary by a prefecture’s size and environment. But the point remains – camping is a very viable type of accommodation when visiting or when one just wants to get from the busy nature of life in the city. Entrance to a camping location. Price wise, securing oneself a spot on a camping site normally costs 500-1500 yen per night, which translates into 5-15 US Dollars. Obviously, that isn’t that expensive. The downside is that some camping sites are difficult to access without a car – which might make it a worthwhile expense to rent a car when visiting Japan since the price of accommodation is already so low, plus the added mobility would making travelling around the country a lot easier. Some of the sites are accessible by bus, but anyone willing to go camping should make sure first. A tent set up on a forested camp site. When trying to find a campsite suitable to one’s needs, the Japan National Tourism Organization is a good point of reference. They offer a comprehensive index of all the camping sites across Japan, for every region and prefecture. Additionally, they provide information on the local attractions, as well as prizes and how to get there. Through some searches across the internet, interested campers can also find reviews of various campsites to see what visitors have to say or if they’ve any advice to share. There are also a number of free campsites across Japan, but with the generally low cost one shouldn’t look past the more expensive ones along the way. Nature is one of the most defining characteristics of the Japanese culture. Therefore, it should come as no surprise that many of the nation’s outdoor activities are based on the natural environment available. There are literally hundreds of different outdoor activities to do in the Land of the Rising Sun, making the country ideal for all tastes to visit. One of the most prevalent forces of nature influencing Japan is water – the ocean more specifically. As an island nation, the Japanese have an abundance of access to water and all things that come with it. One of the things that this proximity to water enables is to participate in the sport of surfing. For those unaware, surfing is figuratively “riding” waves in the water by the help of specialized, lightweight, boards. While Japan is small when put in comparison to Australia or America, the two largest countries in the surfing scene, there are plenty of spots to visit for surfing in Japan. The spots one decides to visit depend on a variety of factors – the most important of which normally include the size of waves, the amount of people and the environment of the location. For instance, one location with some of the best waves in Japan is Chiba, located about 1 to 2 hours away from Tokyo. While Chiba’s proximity to Tokyo can be a blessing for one, it can be a deal breaker for another as the beaches there draw large crowds on good days, which might make surfing in the area uncomfortable. In such cases, surfers who prefer quieter atmospheres but strong waves might want to book a trip to Niijimia, one of the islands of the Izu Island Chain. However one must keep in mind that such islands also tend to get crowded in the summer vacation months, especially when adolescents wish to get away from the busy city life, making planning ahead essential for the surfer with such preferences. Some of the finest waves Japan has to offer. There are a few things foreign surfers should keep in mind when visiting Japan. First that having a GPS-enabled device is a very good idea, especially when one doesn’t know the areas well. Some of the best surfing spots aren’t exactly indicated by signs on the road. Another is to bring a few bottles of water to rinse the salt and sand with since there aren’t many public bathrooms or anything similar at most “hidden” surf spots.